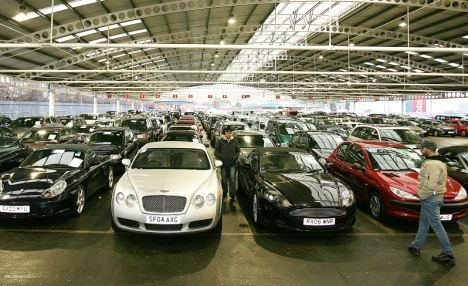 More informatin: Can I Insure a Salvage Car Bought in an Online Dealer Auction? Can I Insure a Salvage Car Bought in an Online Dealer Auction? Consumers in the United States, and even those who are living abroad, have recently discovered the tremendous benefits of online dealer auctions for used and salvage cars. Through websites that provide this service, it is sometime possible to save up to 70% or even 80% on the value of a used or salvage vehicle. Because of this, and the level of convenience and choice that online dealer auctions provide, it’s easy to say that buying a used or salvage car in this manner is better than buying directly through a dealership or from an owner. If you’ve had the chance to look at the incredible inventory of cars available through such auctions, then you’ve likely come across a number of salvage vehicles. In looking at these vehicles, you’ve likely recognized that they present the very best chance for saving a tidy sum. Still, salvage vehicles are a bit different than your ordinary used car, presenting a few challenges for the savvy auto buyer. One of those challenges is, of course, securing insurance for the vehicle once it has been restored and retitled. The good news is that securing basic liability coverage for a vehicle that has been rebuilt from salvage should be prove to be a relatively straightforward affair. Most insurers are willing to provide such coverage, and you will merely need to rate shop in order to find a policy that works best for you. Still, you may find that policy rates are higher for your formerly salvage vehicle than they would be for an ordinary used vehicle of the same type. For this reason, it’s generally advised that you work with your current insurer when shopping for liability insurance. Given your long-standing relationship with the insurer (which is also, hopefully, in good standing), you’re likely the get the best possible policy by going this route. Things get a little more complex if you’re seeking to find comprehensive coverage for a formerly salvage car that’s been purchased through an online dealer auction. For one, you will almost always not be able to secure insurance through the company that had previously insured and that wrote off the vehicle. Likewise, you’ll find that many insurers may be loath to provide comprehensive coverage. There are still options, though! For one, your present insurer may be able to work with you on a policy for the vehicle. In addition, there are a number of niche insurers out there who specializing in covering formerly salvage vehicles. A simple Internet search should connect you with a number of them! Do note, though, that comprehensive coverage for a formerly salvage vehicle is often quite expensive and may not be worth it in the end. If you have more questions about salvage cars that are purchased through online dealer auctions, then be sure to consult this guide that will tell you everything you need to know about a dealer auction. Provided you understand the bidding process and the ins and outs of salvage vehicles, you should be able to get the car you want, at a price that makes sense, and with the level of coverage that’s appropriate for your circumstance. For more details please visit auto dealer auction.